AH! These mountains and autumn leaves are GORGEOUS!! One of the reasons that Utah is so wonderful in October. I finally pulled out one of my favorite fall/winter skirts from last season and paired it with a casual plaid shirt. Check out how I styled this skirt last winter below! 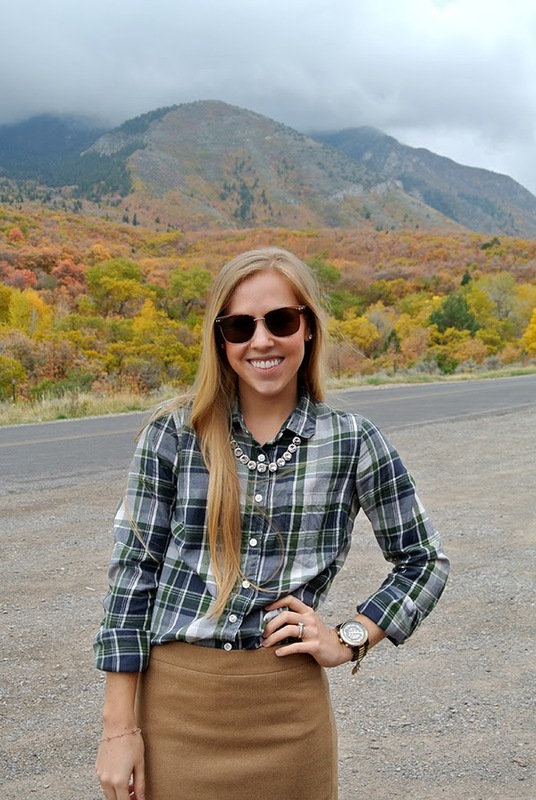 Here are some of my favorite plaid pieces for fall..
Great plaid shirt! Love your background! So pretty! Awesome outfit! Plaid shirts are a staple in everyone's wardrobe here in Michigan, too. :) Those trees behind you are breathtaking & I'm reminded once again why fall is my favorite season.